Hi! 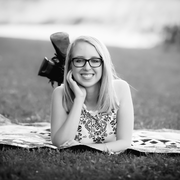 My name is Emma, and I am currently majoring in Nursing at Northern Illinois University. Ever since I earned my babysitting certificate back in the 5th grade, I have been caring for my younger siblings regularly, and on occasion babysitting for friends and family. Previously at church, I had worked in the childcare facility and was taking care of newborns to toddlers. I also have several years of experience working with teenagers with special needs. I was not babysitting much as a high school student due to school being my biggest priority, and all things job related were on the back burner. Now as a college student, I have more time on my hands during my long breaks, and would love to get back into babysitting. I am responsible, caring, and kind and love being around kids (and pets!). Emma came through for us on several occasions including short notices. She took the time to get to know our child and also did math problems with her. I will definitely use her anytime she is available.